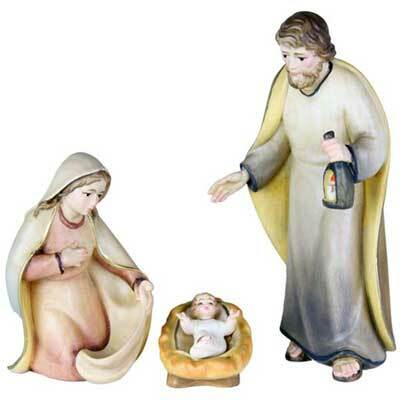 Crib figures that embody the scene of Christ’s birth in a more modern way are also made in our workshop. Modern crib figures are characterized by their flowing forms and linear features. The oil paints that are used are applied thinly and appear natural because of their discreet colours. In our online shop you will find a wide selection of modern crib figures in various finishes: natural, stained several times, watercolours or lightly painted (glazed). A stable or landscape can be ordered to match the style of the crib and in accordance with its size.